Back exercises of various types have been confirmed in clinical studies showing they are effective in preventing lower back pain and reducing lost work days. 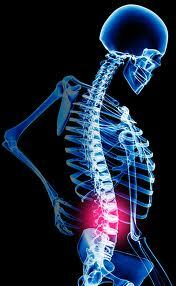 However, this benefit in particular is for those with mild, recurrent, or chronic lower back pain. By contrast, the effectiveness and practicality of doing low back exercises for acute or severe low back pain is complex and with controversial results. By far, the best use of doing exercises for lower back pain is for prevention and back strengthening exercises to minimize risk or recurrence. Once back pain has started, it is not advisable to begin back strengthening exercise until well after the pain has subsided. There is no solid evidence to indicate that anyone has identified the best back exercises to do for prevention or as a lower back therapy. Research has not shown that a general vs. specific exercise is better for the back, or that individualized vs. group programs are better, or even if supervised vs. home exercise is more effective. Specific back stretching programs that target the area of involvement. No one has devised or isolated the single, perfect, best exercise for low back pain that will work for everyone. Even the experts cannot agree what works best, probably because their are too many variables among people who have back pain to find one ideal way to address a problem that is so complex and diverse. Low impact aerobic exercise – to condition the heart and all other muscles of the body to maintain general good health and speed recovery. Strengthening exercises – focus on back, abdomen and leg muscles. Stretching exercises – keep muscles, tendons and ligaments flexible and less prone to injury. The best back exercises are the ones you actually do. It makes sense that doing poor low back exercises that you actually do frequently because you enjoy doing them is far better than any great low back exercise that you avoid because you dislike it. It is essential to keep your own likes and dislikes in mind when deciding on which lower back exercise routine you will follow because this greatly influences motivation and performance – whether you will actually use it. Perhaps the simplest and easiest way to approach back exercises at home is to try different methods and styles until one is found that works better than the rest you have used. This would be based on which exercises make your back feel most relaxed, flexible and comfortable after doing them. It is always commended that anyone consult with a physician, chiropractor or physical therapist before starting to exercise, to discuss any other health problems or pain you might have. In this way your exercise for lower back complaints can be tailored to your needs. Most low back pain problems will get better if you stay active, apply ice to the area of pain, avoid any position or activity that increases back pain, and do not overuse pain relievers or muscle relaxants. This last part about careful minimal use of pain medication is important for recovery because this kind of drug can give a false sense of progress that you are better than what you are; allowing you to do too much too soon. In these situations the end result is not only a delayed recovery, but greater damage, development of a wider area of body aches, and a poorer recovery occurring. Once the acute pain begins to subside, active care should begin. Low impact and resistance strengthening exercises for the abdominal, back, and leg muscles, along with gentle stretching exercises for the low back, hips and hamstring muscles. This combination of strengthening and stretching will not only help decrease the level of current low back pain, but it speed recovery, as well as possibly prevent re-injury to that same part of the back, as well as reduce the risk of low back disability. If cost and time away from home are an issue, lower back exercises to reduce pain are not easy and simple to do, and can be done at home without special equipment. Do not allow fear of pain to delay or prevent you from becoming active while your back still hurts. As long as you are using gentle activity guided by common sense, you should try to be active soon after the low back pain starts. Total immobility is not usually necessary and is only useful for a short time. The goal is to gradually and gradually increase your activity level based on what you find tolerable and safe to do. Staying inactive too long will lead to loss of overall flexibility, strength, and endurance in the low back, which will create the opportunity for more pain.